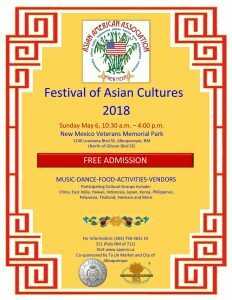 FESTIVAL OF ASIAN CULTURES – WELCOME! 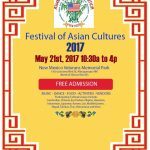 Asian American Association of New Mexico has held its annual Festival of Asian Cultures for several years and 2018 was a success! Click on flyer to see festival photos on our Facebook page!